In the market for a Jeep? This HAS Upgrades and LOW miles!! 2013 Jeep Wrangler Unlimited Sport 4dr 4WD, AUTO, V6, 3.6L! Our service department just finished installing a RC lift, New Fuel Nitro Bronze Wheels, New 33" Nitto Ridge Grappler tires, fresh service and full inspection! Inside you will find black cloth seats, AM/FM SIRIUS radio, CD player, Bluetooth, AUX port, hill assist, Steering wheel controls, cruise control, power windows, power door locks, power mirrors, tow package, hard top, N-Fab steps and much more! 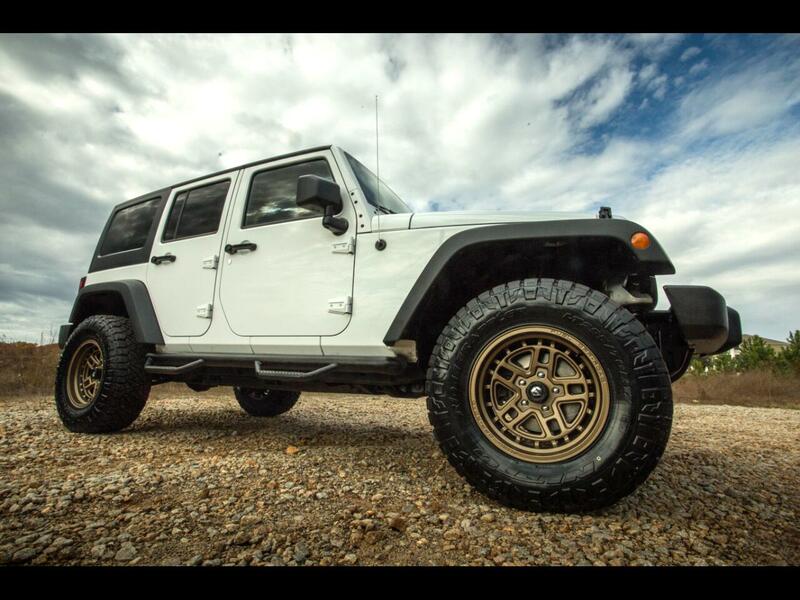 If you want to know more about this lifted Jeep or any of our available inventory, give us a call today 803-808-5235 OR stop by and take a test drive!